A boy who was hit by a police van during a mass brawl in Edinburgh has appeared in court. 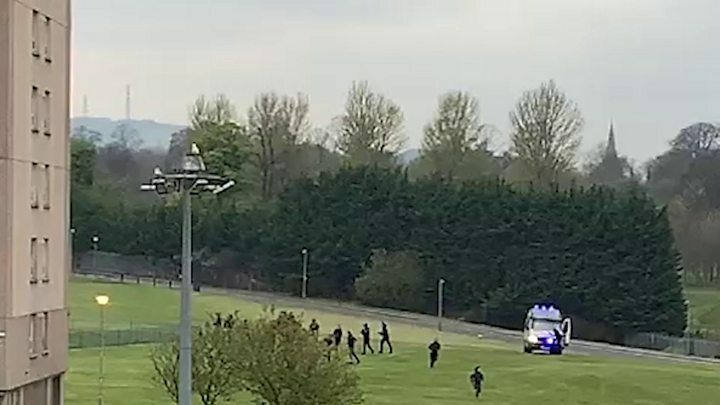 The 16-year-old was arrested and charged with breach of the peace after the large-scale disturbance on Monday, thought to involve about 30 young people. Officers were called to the incident on grassland near Moredunvale Park at about 18:30. Police said the boy did not require medical treatment and the Police Scotland Professional Standards Unit had been informed. An internal investigation is expected to take place. The boy appeared in court on Tuesday but currently has no further court dates scheduled. Police inquiries are also ongoing to establish the identity of other youths who made off after officers arrived at the scene.